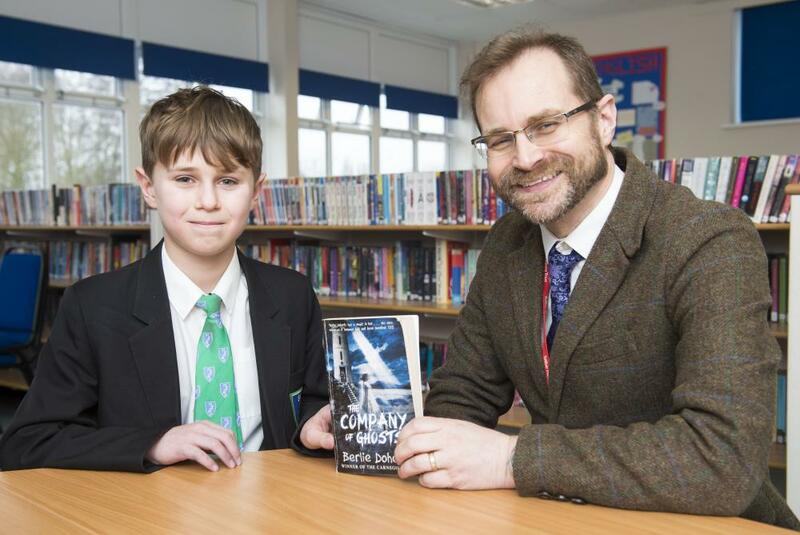 Year 8 Inter-House English winner Charlie Carr celebrates with Damian Donnelly, Curriculum Leader for English. An eerie and evocative poem about Winter won Year 8 student Charlie Carr an Inter-House English Competition for Cetus House. Charlie said: "I am proud. I won a book - The Company of Ghosts by Berlie Doherty. I read a lot, mainly mystery books." Damian Donnelly, Curriculum Leader for English, said: "It was a little bit unusual for a winter poem. Eerie and evocative. The standard was very good. There was a large number of entries, but Charlie's stood out."